Training Director – Welcome to Infinity Institute International, Inc. A State Licensed School of Hypnosis. 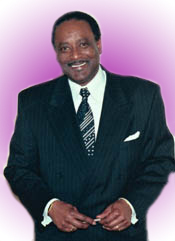 Jerome Beacham, PhD, Training Director, is an internationally known hypnotherapist, speaker and educator. His BS in Criminal Justice is from Wayne State University where he did substitute teaching in Criminal Justice. He has a Masters Degree in Religious Studies and his PhD is from the American College of Metaphysical Theology. He has served as Mentor Chairman for the International Medical and Dental Hypnotherapy Association ®. Presently he is Certification Chairman for the IMDHA. Besides teaching for Infinity Institute International, Inc., Dr. Beacham is part of the Detroit Piston/Panasonic Speakers Bureau. The focus of his message is the importance of developing one’s spiritual gifts along with the individual skills in order to reach goals and dreams. While a Sergeant on the Detroit Police Force, Beacham developed customized programs for schools using the model of the Detroit Police Explorer Program. This included teaching life skills of good citizenship, teamwork and accountability. Drug education was one of the many ways that Sergeant Beacham helped keep youngsters on the right path. In 1999, Dr. Beacham received the prestigious Member of the Year Award from the International Medical and Dental Hypnotherapy Association ®. In 2000 Beacham was awarded the title Fellow of the International Medical and Dental Association ®. Buffalo Soldiers is a significant part of Jerome Beacham’s life. It has allowed him to bring true American history into classrooms, cultural centers and community organizations.